Sometimes when you visit a place, you fall in love with it immediately. Copenhagen is one of those places. It is the capital of Denmark, located on the eastern coast of the island of Zealand; another little of the town is located on Amager. Copenhagen is one of the most beautiful and visited cities in the world. People visit this large city year in, year out because it’s very famous. Why is it famous? 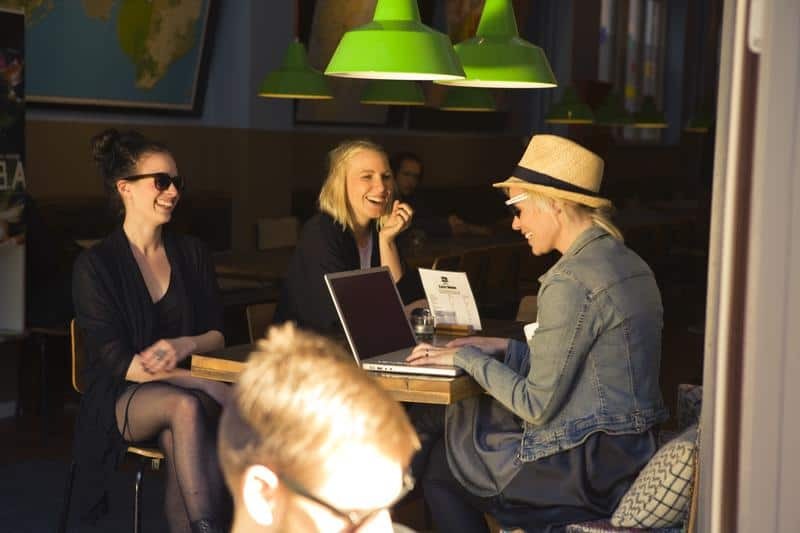 It has great shopping spots, nightlife venues, Little Mermaid, Tivoli Gardens, The Royal Palace Amalienborg, Free Town Christiania, dining, and many more. This city gives a ‘wow’ feel and you’d love it to the moon and back. If you’re planning a journey, this city is perfect for you. 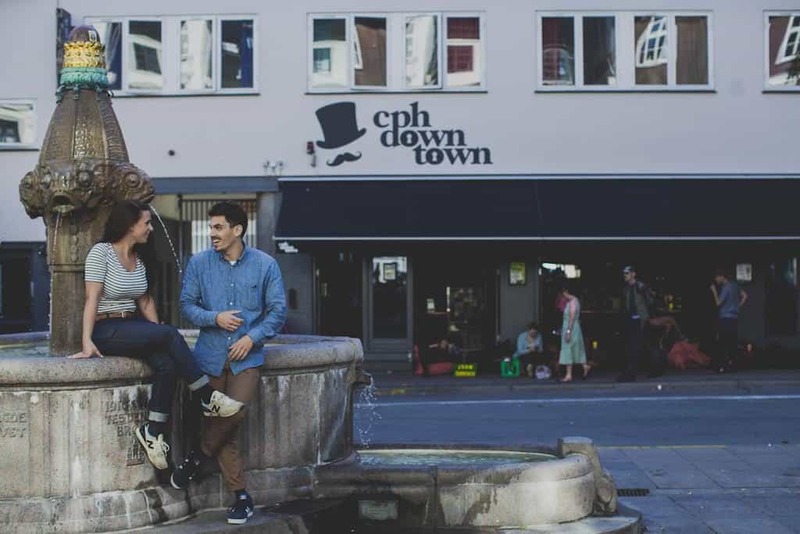 But, if you’re a backpacker with a limited budget, bear in mind that Copenhagen is an expensive city. 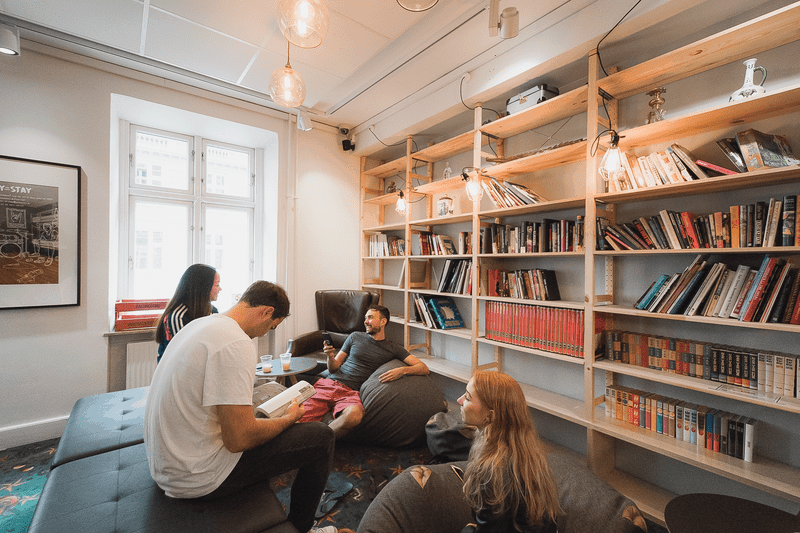 The hostels are the best option for backpackers. They are easy on the pocket. 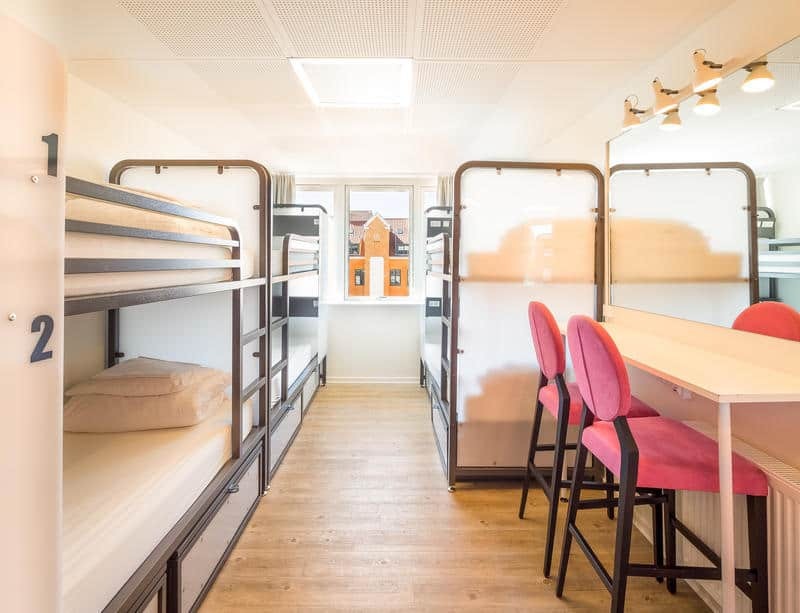 There are lots of hostels available, and choosing one can be baffling. 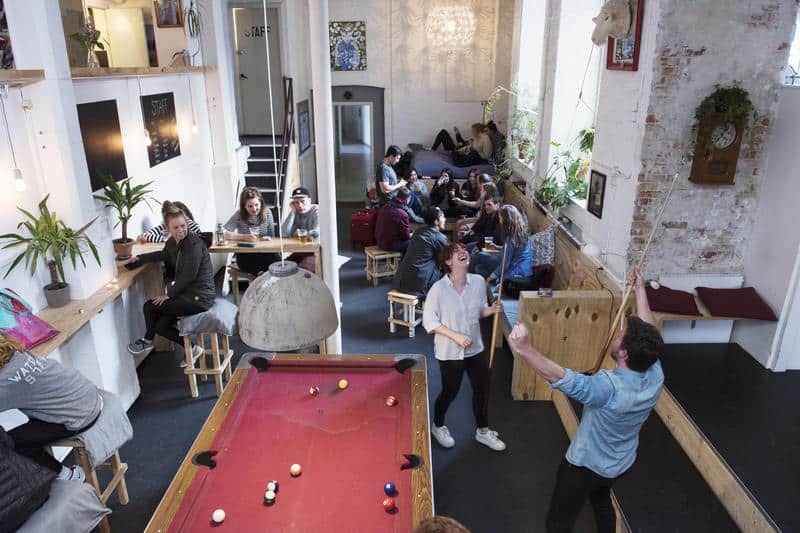 Below you’re about to perceive 7 Best Hostels in Copenhagen that will help you pick the right one. hostel is great. 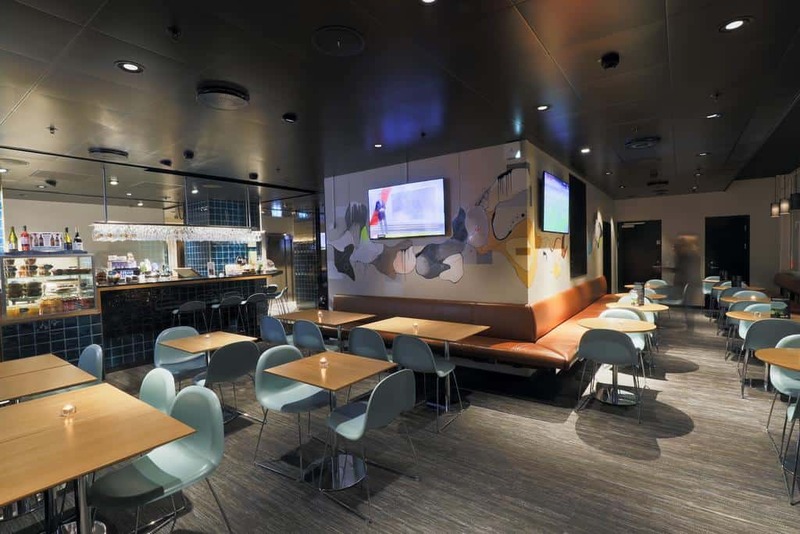 Moreover, you’ll see that this hostel organize lots of activities as well. 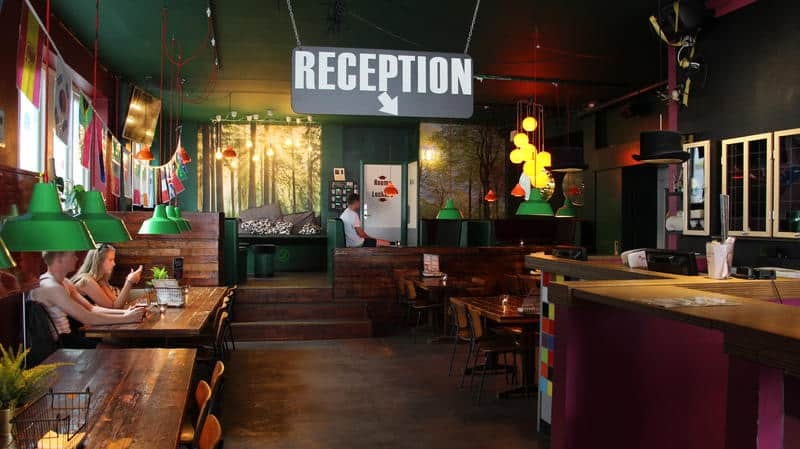 The splendid hostel offers free Wi-Fi. Not only in rooms but also in some public areas. Offsite parking discounted rates? Yes, available! You will get laundry facilities and game room. 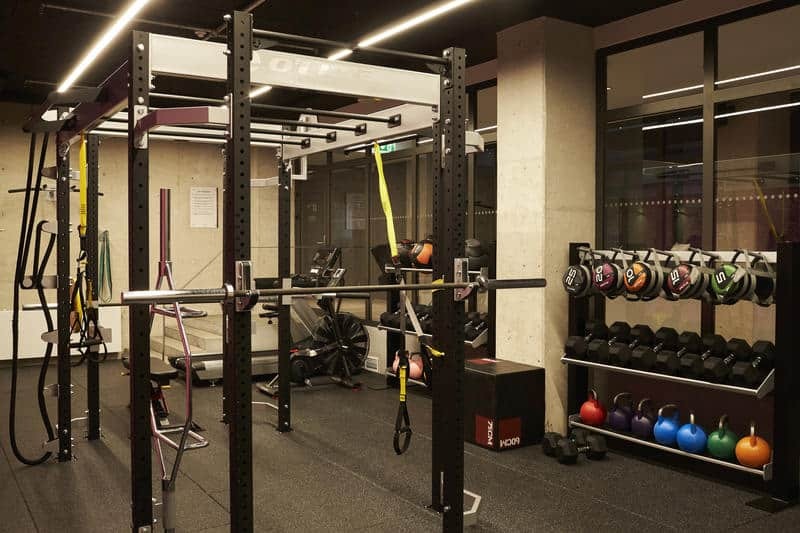 Furthermore, it has a bar, Television in the lobby, Library, Lift (It’s a 6 levels hostel), dining venue, garden, terrace, movie room, and storage area for luggage. 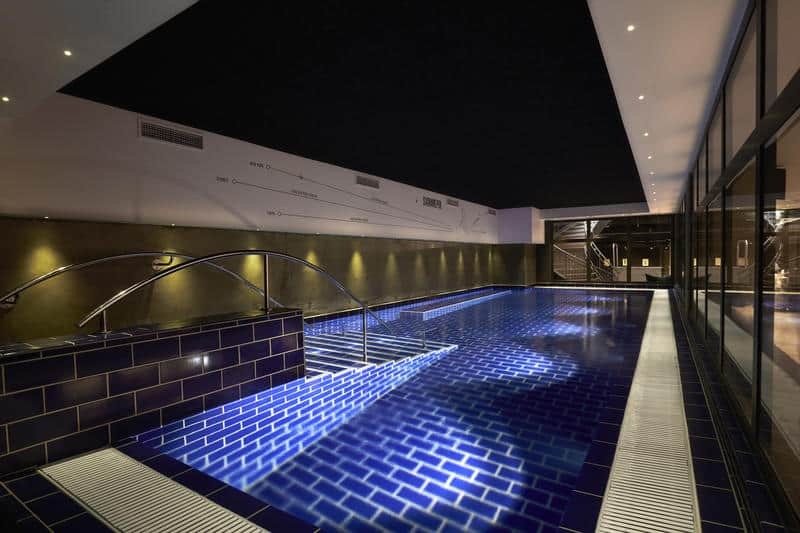 Moreover, it has daily events like bike tours, yoga classes and morning runs. Check out WIFI boosters for travelers! site. They don’t allow pets on site. Travelers are interested in pop culture, vibrant cafes, street art, and restaurants aren’t they? Vesterbro is a great choice for them. 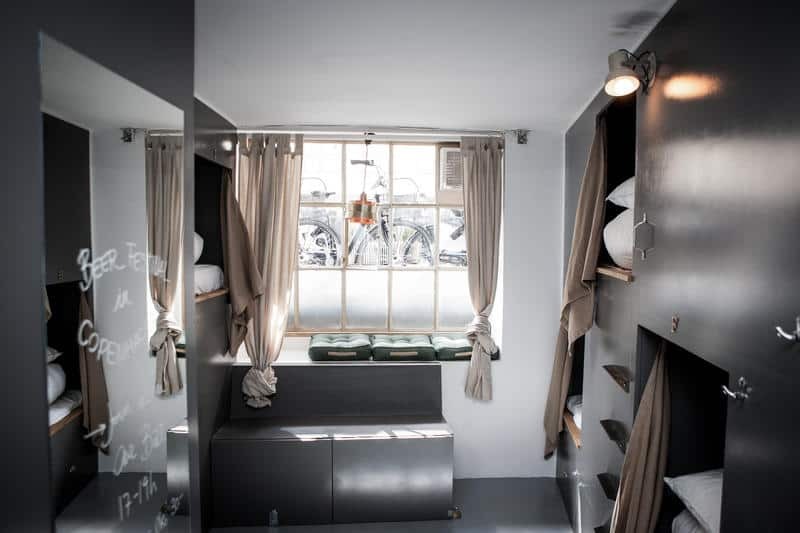 This hostel won’t be shy of your expectations. cemetery is near too. 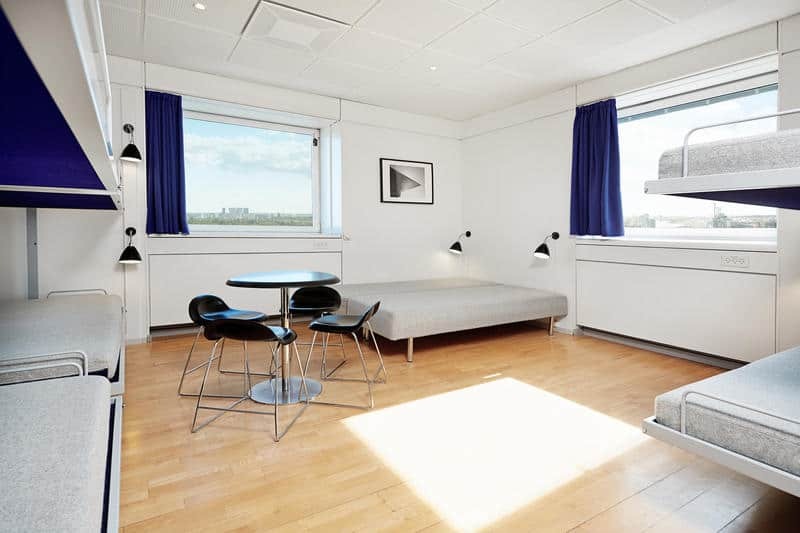 In addition, the hostel is about 9 to 11 minutes’ walk from the metro going to the city center. The Sleep In Heaven hostel offers so much. Free Wi-Fi in every room, bed linen included, free walking tours, bike rental from the hostel, happy hour everyday, key card access, lockers, and elegant rooms. 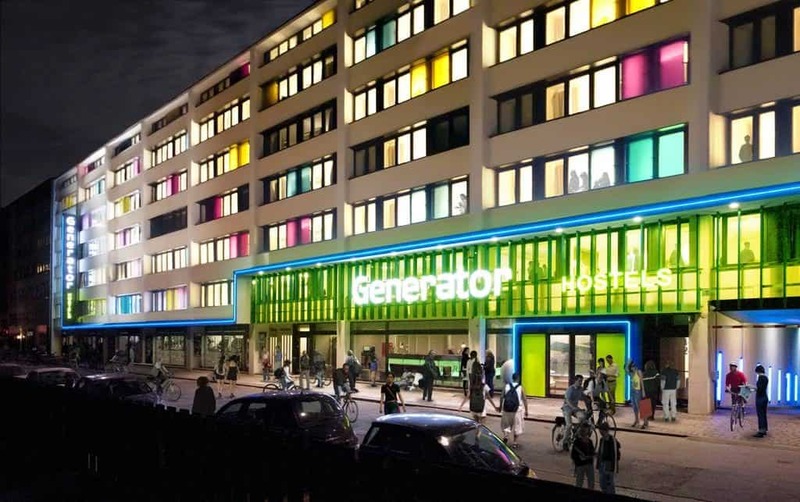 It wouldn’t be wrong to call it a modern youth hostel. There are some age restriction policies in this hostel. The age restriction in dorms is 16 years to 35. While, in private rooms, it is 16 years to 45. Unfortunately, this hostel doesn’t provide kitchen facility. But, you can get plates and cutlery from the staff, if you’ve brought your own food. And, it doesn’t provide a stay of more than 14 nights, and bookings will be canceled if there are more than 9 people. 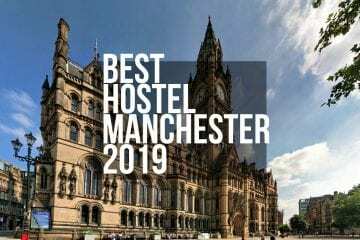 Visit this great hostel and enjoy the best experience. gear are only a portion of the highlights you’ll discover. In addition, this hostel offers a bar, gym, lounge, game room, cinema, Tv Room, pool, laundry, self-service kitchen, and 24-hour reception. 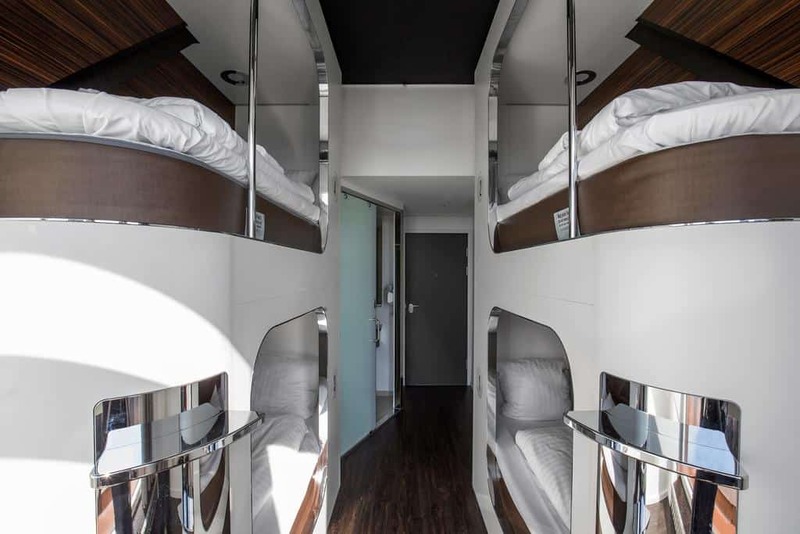 This hostel will transcend your expectations like no other. a couple of hundreas of meters away from the metro stop. 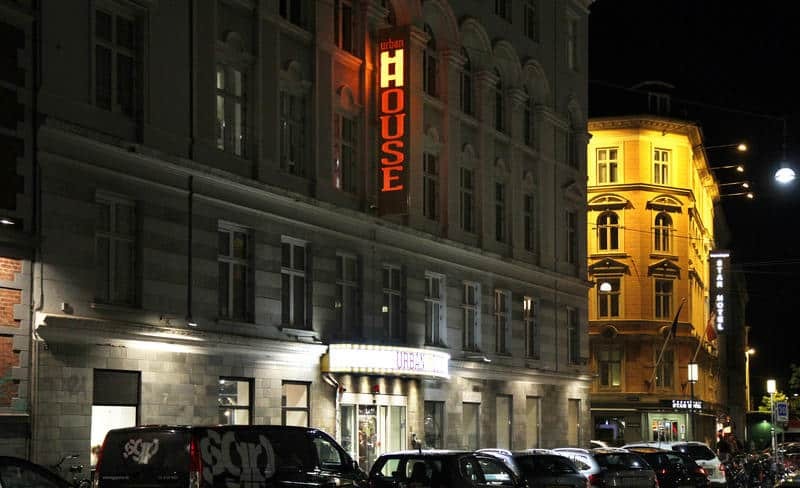 The hostel is simply off Stroget that’s the high street and predominant artery of Copenhagen so you’re well positioned. Getting to this hostel is very easy. The station is on the M2 metro line which is connected directly with Copenhagen Airport. To get there buy a 3 zone ticket which costs 35 to 37 krones. 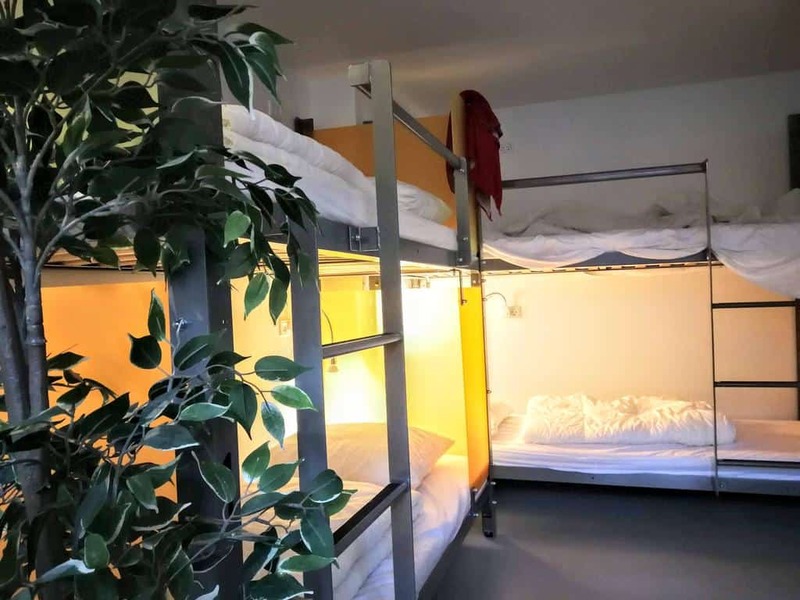 This hostel offers a bar, terrace, garden, laundry facility, luggage lockers, gym, free Wi-Fi, restaurant, parking on site, and is handicap-accessible. Furthermore, the reception staff rent out bikes and can sell tickets at a reasonable price for local attractions and tours. 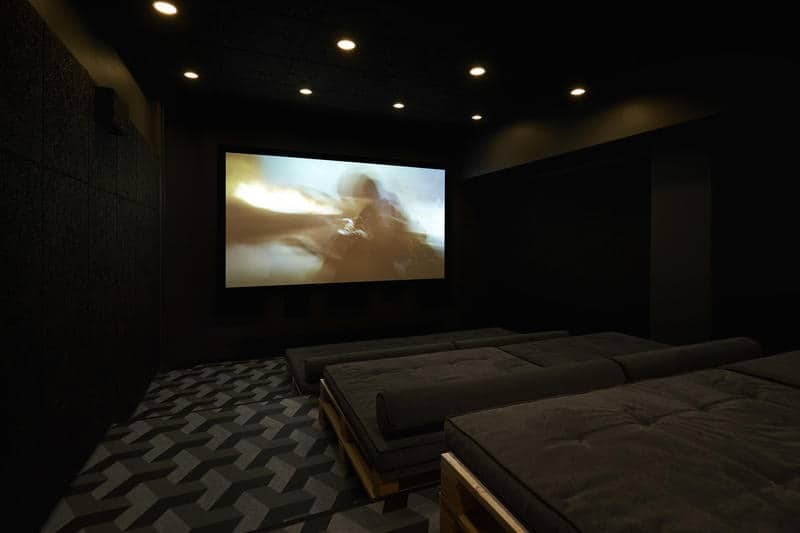 There may be no televisions within the bedrooms, however, you’ll locate masses of entertainment downstairs, such as a pool table, arcade video games, table soccer, darts board, five shuffleboard tables or even a petanque court docket. In addition, they lay on live tune, DJs and other activities. located perusing lights and fitting point to charge your cell phone and devices. air because of the inviting staff upholding great vibes all through, without compelling it. 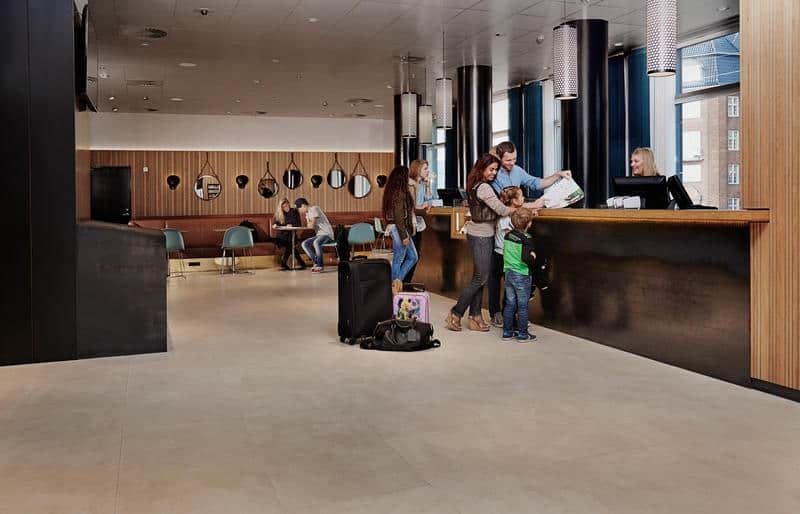 baggage storage, and free Wi-Fi – available and accessible in all areas and free of charge. 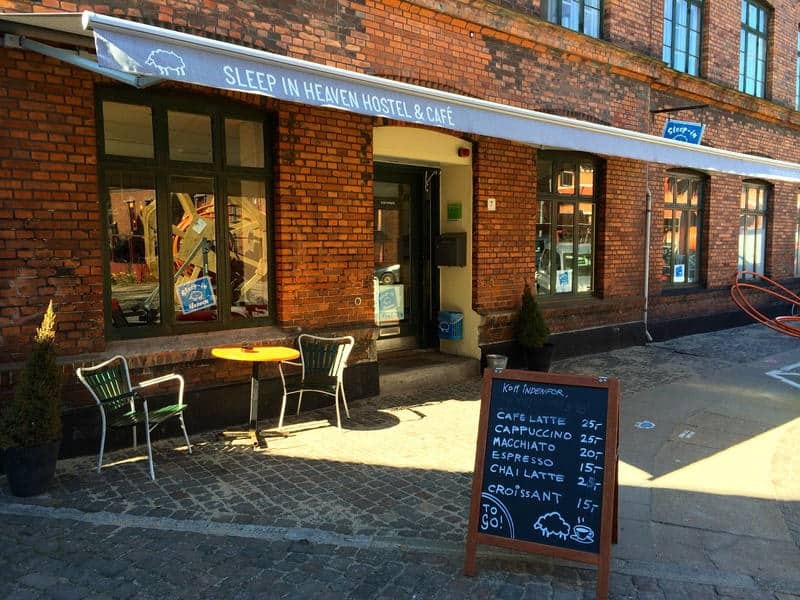 Moreover, the languages spoken in this hostel are Danish, German, Spanish, and English. is a 7-minute stroll from the hostel. 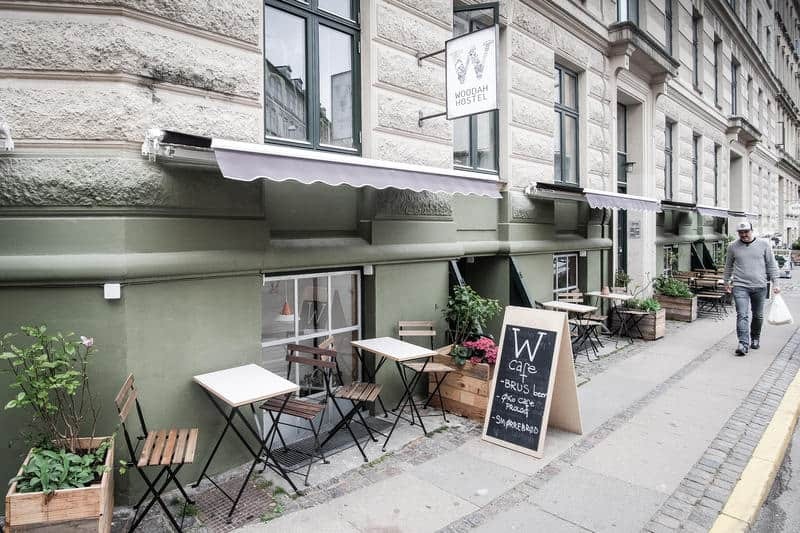 Vesterbro is an extraordinary decision for voyagers keen on shopping, exhibition halls and culture. Couples specifically like the location of this hostel. In case you’re in the inclination to assist, volunteering is very energized and acknowledged. You may even have the capacity to trade your labor for a night’s remain in the event that you wish, which I believe is quite cool. 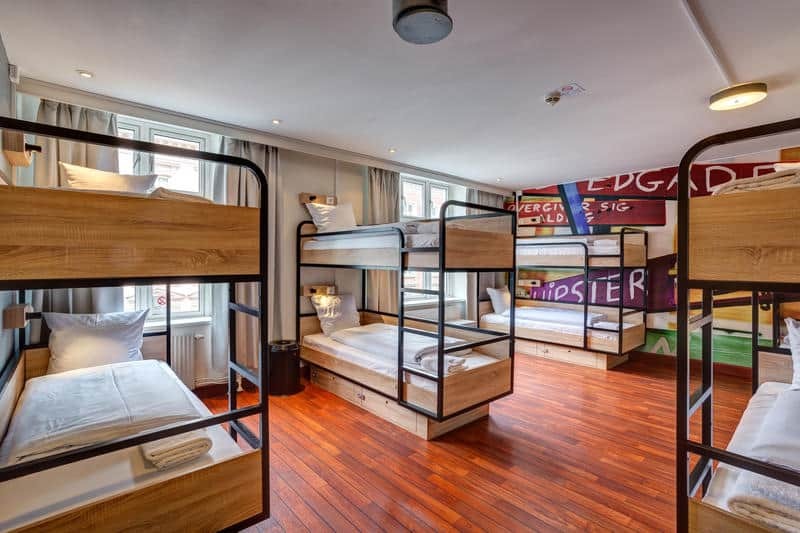 The hostel has 22 rooms… And it’s the perfect one when you visit Copenhagen. Another great hostel in Copenhagen – Danhostel Copenhagen City. 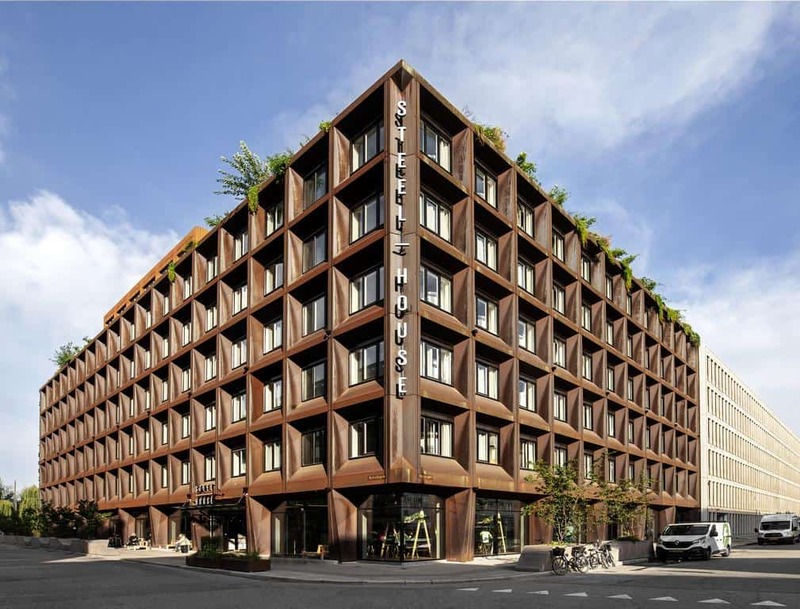 5-star design hostel in the center of Copenhagen! 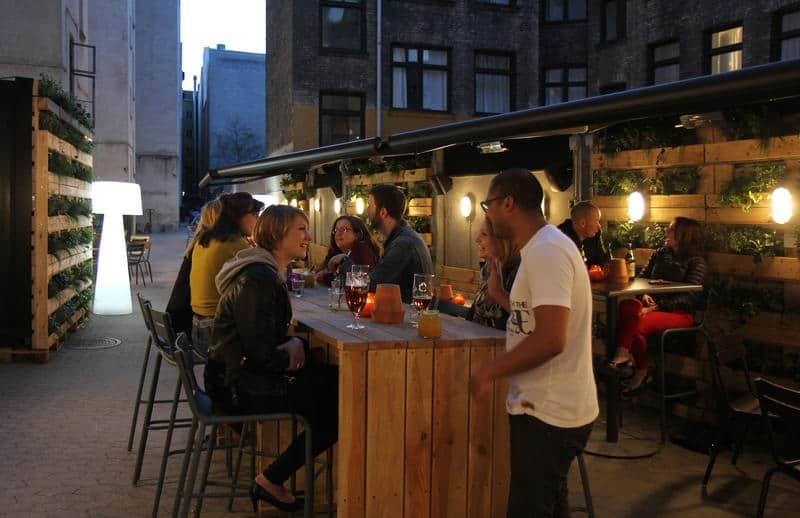 Danhostel is located in the heart of Copenhagen – a few minutes walk from City Hall Square, the Central Station, Strøget and Tivoli Gardens and other main points of interest. They have 192 rooms and can host up to 1020 travelers. All rooms have furniture by eminent Danish fashioner, Gubi, and they have private bathrooms. 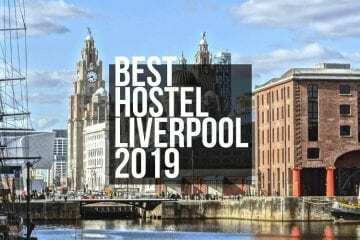 Some of the rooms also have an amazing view of the city, so just take a look out of your window from this hostel, I guarantee, you will love it. room for everyone from digital nomads, backpackers, budget travelers, families, large groups to school groups. Bed linen and towels are included in the price. A fully equipped guest kitchen and the laundry room is available 24/7. 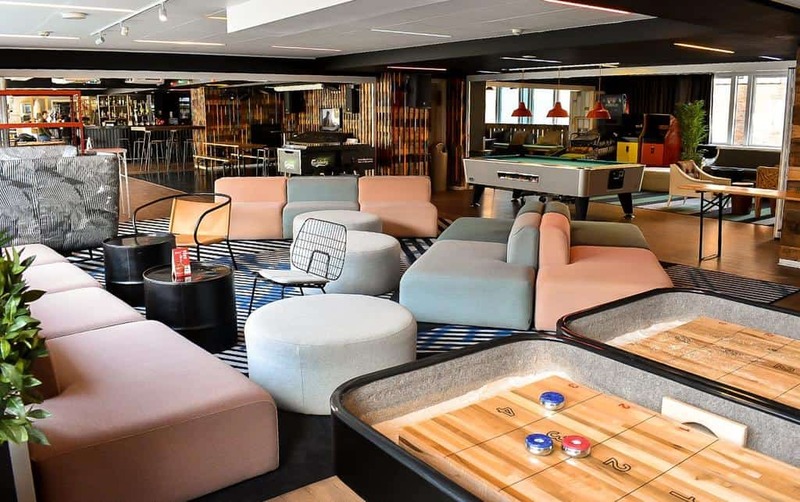 Enjoy a non-smoking hostel, free high-speed WIFI throughout the entire place, 24-hour reception, bike rentals, 4 indoor lifts to all 16 floors, free guided walking tours, table tennis, board games and much more! 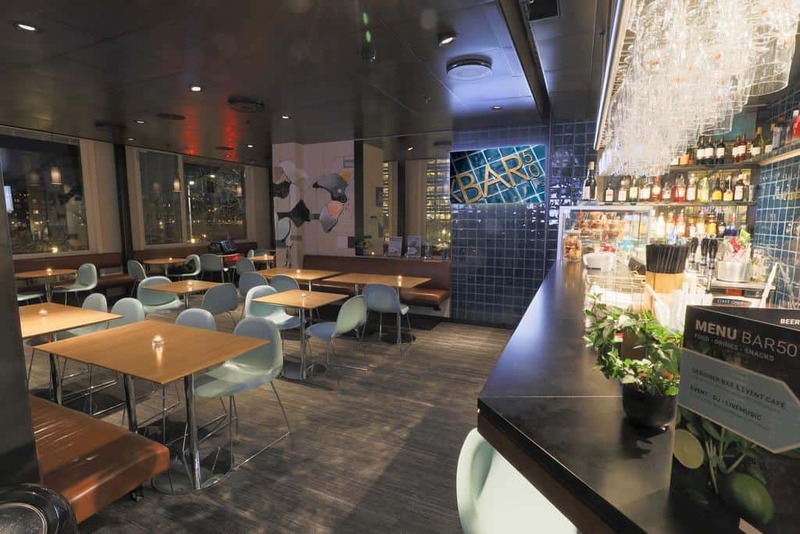 The hostel also has a modern design bar – and café called BAR50. You can hang out there and meet other fellow travelers while enjoying delicious snacks, drinks or hot delicious coffees and chocolates. 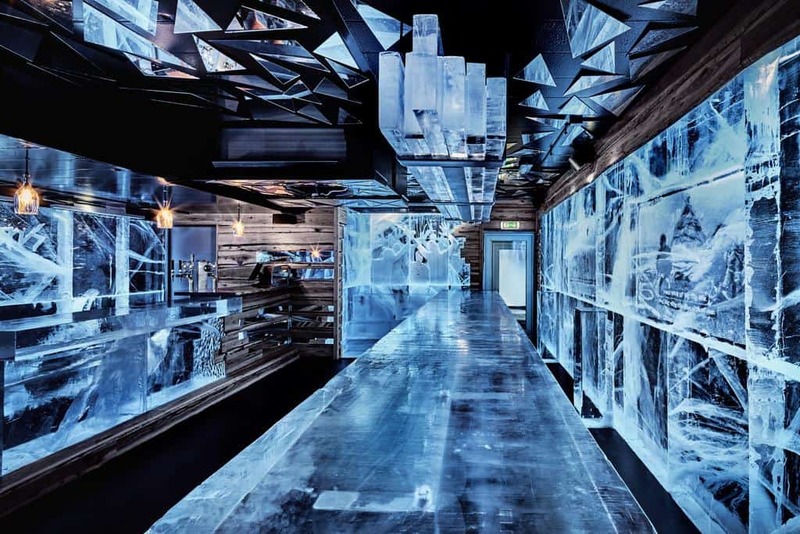 In evenings, the bar is turned into a cozy area with good music, free events, and colorful cocktails. 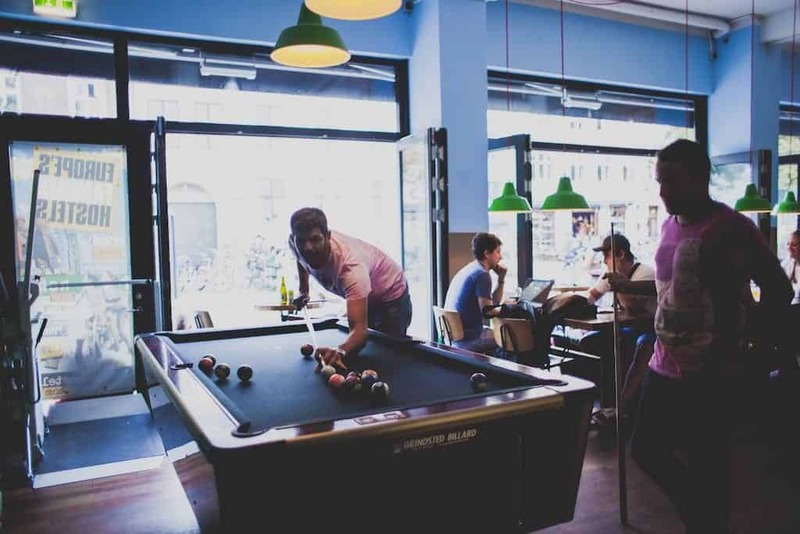 The hostel accepts all major international credit cards except for Diners Club. Just look out of your window from this hostel, I guarantee, you will fall in love with this city. 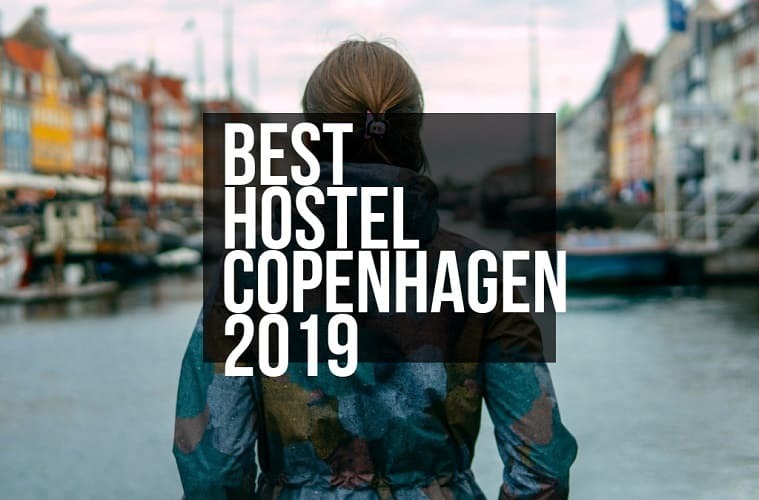 This hostel is an award-winning and one of the most popular hostels in Copenhagen. 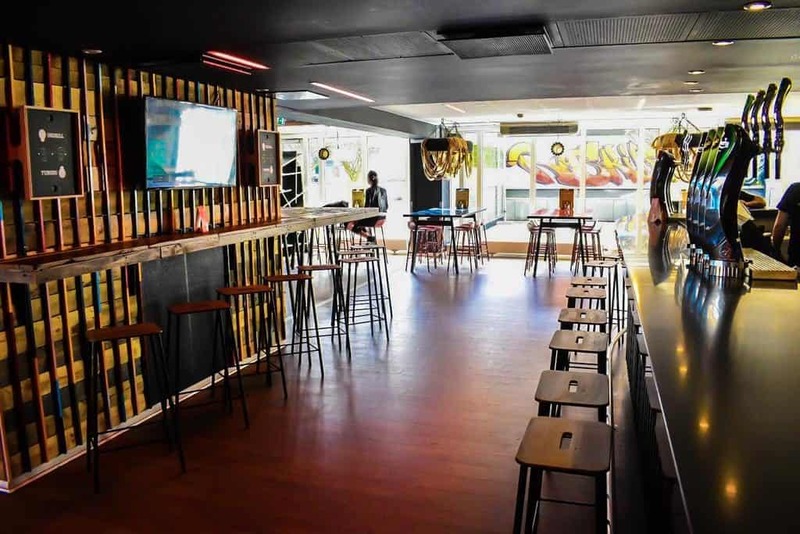 It is best for party animals because it is the best party hostel in town. Its location makes it more unique. Kastellet, Freetown Christiania and Little Mermaid – sights like that are at a walking distance because It is located centrally between Christiansborg Palace and the Tivoli Gardens. Moreover, it is close to best theaters, galleries, and museums of Copenhagen. 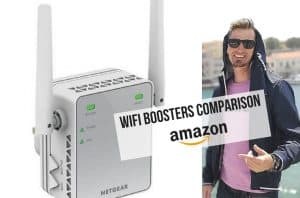 It is a blessing from heaven for budget travelers and backpackers. 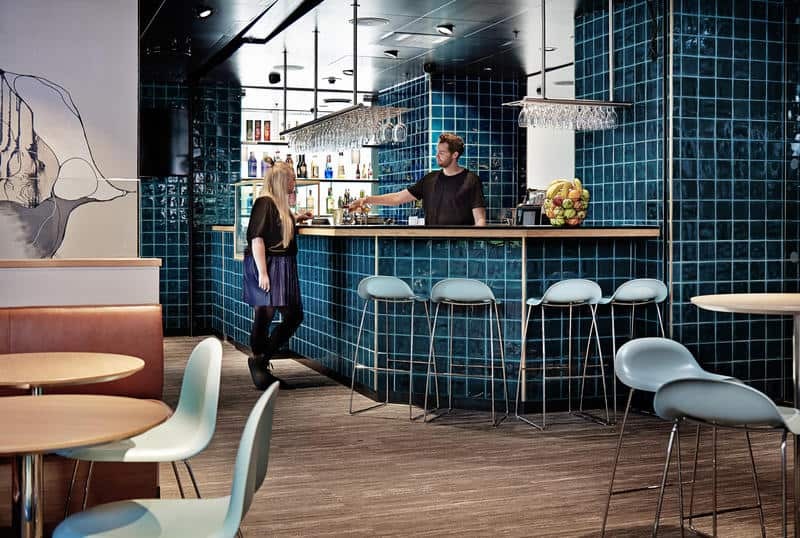 They won’t have to spend a fortune to enjoy everything this superb hostel has to offer. offers free iPad and laptop on rent. lounge area if you’re looking for more liquid entertainment. range of four and ten individuals. around 10:40 to 10:50, and the afternoon one starts around 14:40 to 14:50. 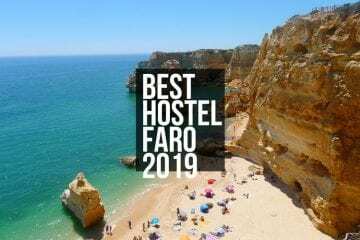 After seeing the above list, I think now you can easily pick the right hostel for yourself. 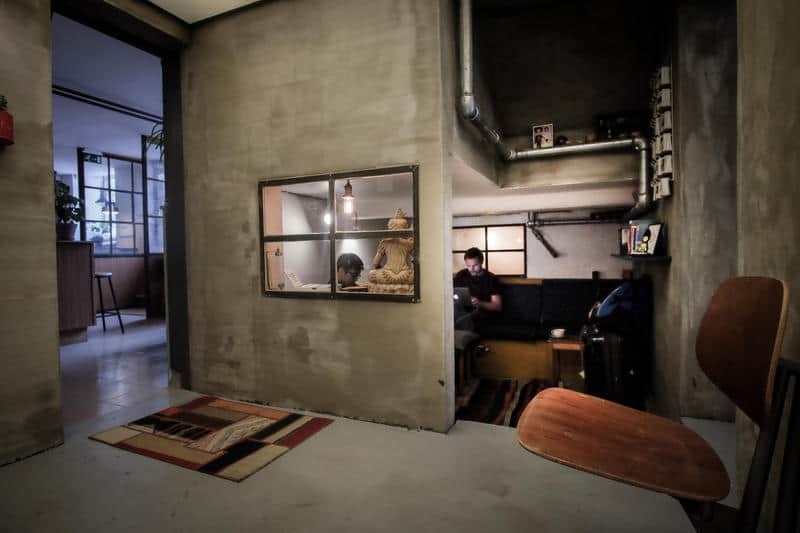 Every hostel is unique in its own way. 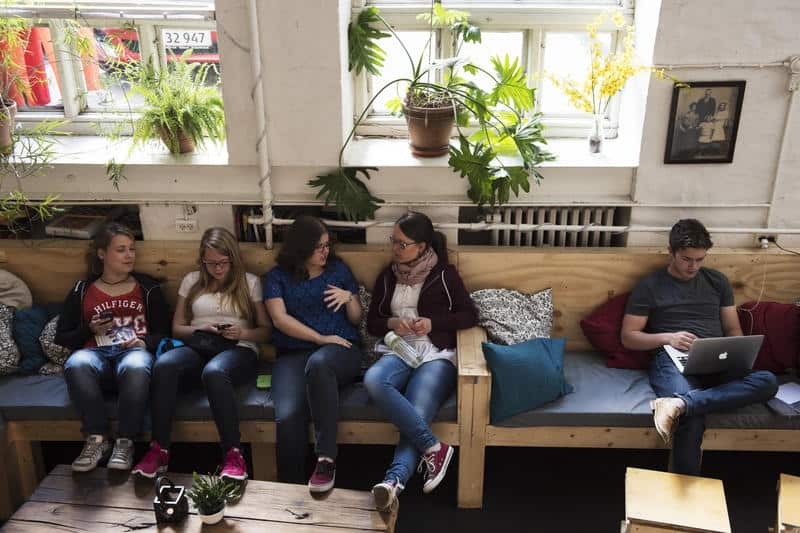 Services, facilities, and location are the main things for a backpacker to check, before opting for a hostel. Our advice is that you should never opt for a cheaper hotel. Are you tight on budget? 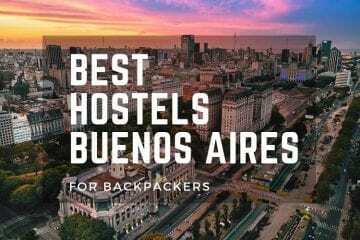 Well, the above-mentioned hostels are cheaper too, compared to others in the list. But, if you want to look for a more cheaper hostel, then you can find it. Good luck! But, you’d only waste your money. provide. 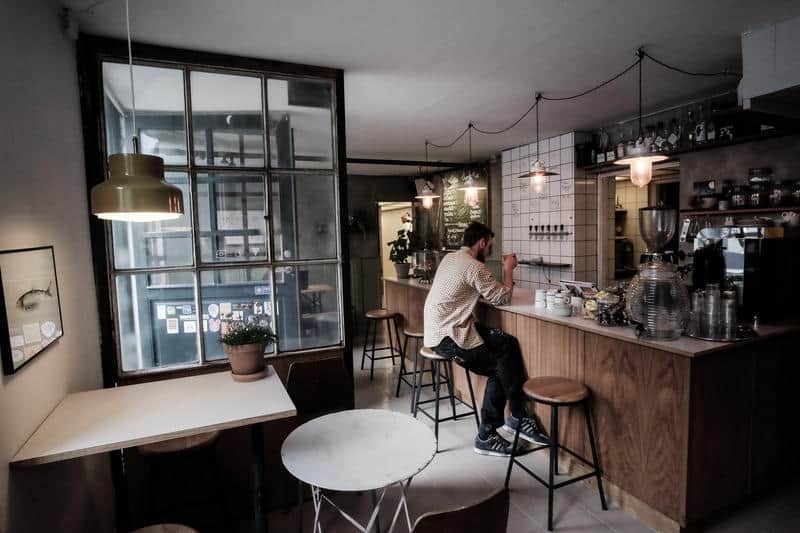 So, stop confusing yourself and whenever you’re coming to Copenhagen, pick a hostel from these posh and outstanding hostels.